I am going to start with what I think is the BIGGEST thing to BARK OUT about. by the effects of Carbon Dioxide… as our news and weather professionals have told us. 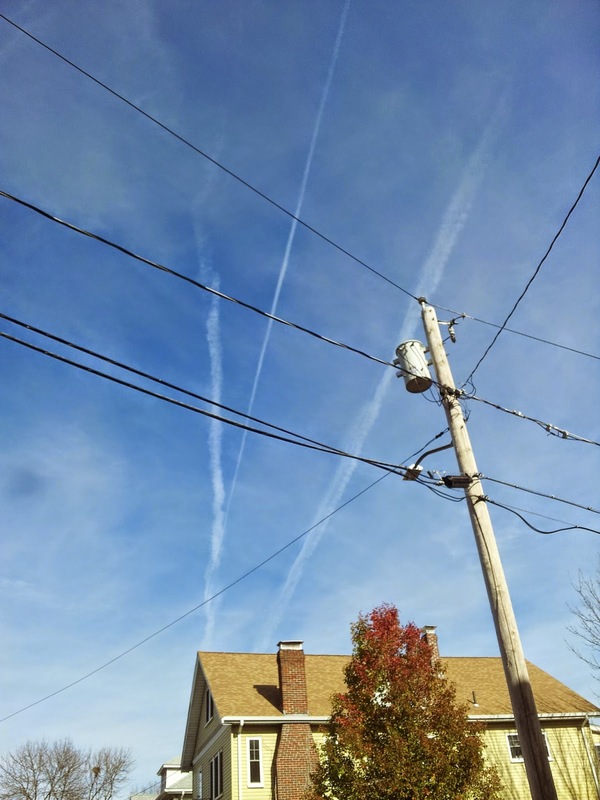 Since the end of the last century governments around the world have covertly been spraying chemicals in the sky and using other technology to create clouds and alter the weather. This can be called: ChemTrail or ConTrail creation or GeoEngineering. “Unregulated GeoEngineering and misuse/abuse of Climate Science is the SINGLE LARGEST ENVIRONMENTAL THREAT the planet faces today BAR NONE. This comment leaves out many likely health effects: asthma, alzheimers, autism... for a start. That Intro Video offers a phone app. With it you can take pictures of GeoEngineering evidence in your sky and send them to the relevant U.S. LEGISLATORS. This is not a free app… it costs $2.99… but I think it's WORTH IT. The organization is a 501C Non-Profit, so presumably the fee is going to the cause. It took me a while to FINALLY start learning about this problem. "Well.. this may be a problem in other parts of the country, but I haven’t noticed it over my head." Right over my head.. on a regular fall day.. the trails beginning to create clouds blocking out the fall sun. So check out the videos.. then Look up, next time you step our your door. I think you will want to start barking too. PS, You might get mad as you learn about this. Don't forget that we are ALL in this... and ask your Spiritual Connection for GOOD for ALL... even those you might be mad at. If we keep on being AGAINST each other.. we'll take a l-o-n-g time getting the health and harmony we're all seeking. I have been thinking about sharing stuff that can make a difference with the idea that group action can REALLY make a difference. And I think, almost the only thing that gets in the way for many of us is the idea.. that you ... are just a little dog.. so what can your say really matter in a world that seems to be run by soooo many BIG DOGS... yeh? So I am going to use these pages to share some of what I'm learning about what and who is tinkering with things.. behind the scenes. .. (Who is running OZ, so to speak).